The twentieth annual Muzzy Classic bow fishing tournament will happen July 13-14 out of the Lee S. Jones Park in Eddyville, Kentucky. 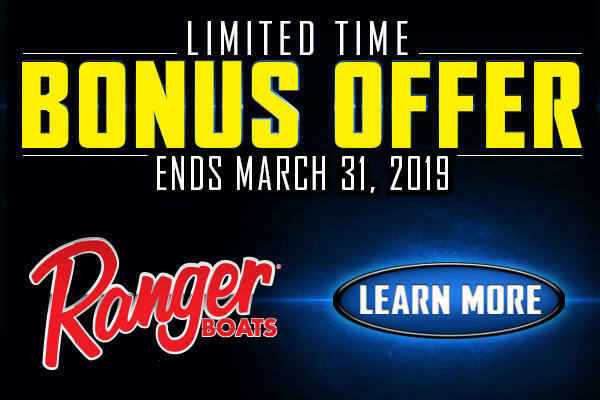 Bass Cat Boats has announced its 32nd Annual Owner’s Invitational will take place on April 25 – 27 at Beaver Lake in North West Arkansas. The Gulf of Mexico Fishery Management Council and NOAA Fisheries will be hosting a workshop in Kenner, LA, on February 12, 2019, to inform owners and operators of vessels with federal Gulf charter/headboat reef fish permits or Gulf charter/headboat coastal migratory pelagics permits about new electronic reporting requirements. The Gulf of Mexico Fishery Management Council will meet on Monday, February 18th, 2019 at the Doubletree by Hilton Tampa Airport Westshore in Tampa to allow the Council the opportunity to take Final Action on Reef Fish Amendment 50: State Management of Recreational Red Snapper. Plano's patented Dri-Loc O-ring and three tight sealing cam-action latches in the new Waterproof Stowaways work together to keep your favorite bait and tackle dry and corrosion free. 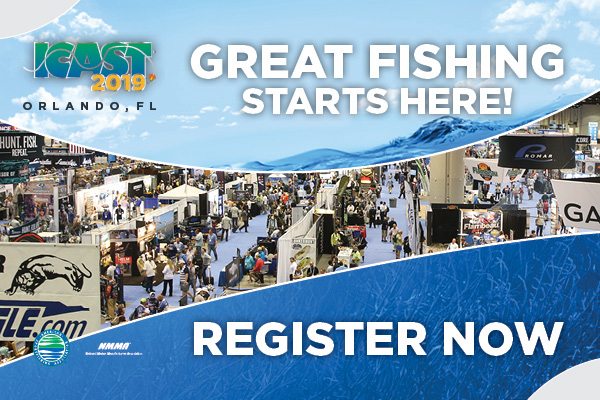 Shimano reel service clinics will be conducted throughout all five days of the Pacific Northwest Sportsmen’s Show on Feb. 6-10, 2019, within a special seminar area at the Portland Expo Center. In addition to a highly improved graphic design, the new IGFA website showcases several new features, including: increased search functionality for IGFA World Records, allowing members to view record details, history and individual angler statistics; updated biographical information and photos of IGFA Trustees, Representatives and Captains/Guides; a detailed timeline of the IGFA’s 80-year history and major accomplishments; intuitive site-wide navigation; and an improved user interface. The Missouri Department of Conservation (MDC) invites landowners to attend any of four free workshops this winter on pond management in mid-Missouri. The Go Fish Education Center in Perry is hosting an education seminar on pond management on Feb. 21. The second 2019 Fisheries Forum for recreational anglers will be Saturday, February 23 at the Batsto Village in Wharton State Forest at 10:00 a.m. The Pennsylvania Fish and Boat Commission (PFBC) announced today that the 2019 adult trout stocking schedules are now available online and on the PFBC’s “FishBoatPA” mobile app. In favor of protecting returning king salmon and ensuring fishing opportunities in the future, the Alaska Department of Fish and Game (ADF&G) will implement a sport fishing regulation closure for king salmon in the Karluk River drainage including the lagoon and its outlet stream effective 12:01 a.m. Saturday, June 1 through 11:59 p.m.Thursday, July 25. 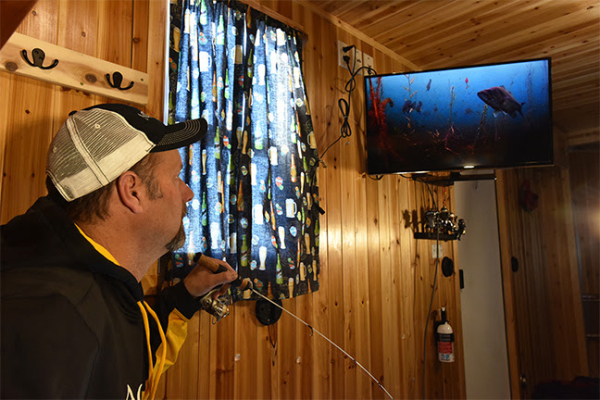 This fishing tournament benefits the Pediatric and Congenital Heart Center at Children’s of Alabama and will be held Saturday, April 27 at Goose Pond Colony Resort (417 Ed Hembree Drive, Scottsboro, 35769). Catfish anglers from several states will travel to the Santee Cooper Lakes at Cross, SC to kick off the 2019 King Kat Tournament Trail Feb. 16.